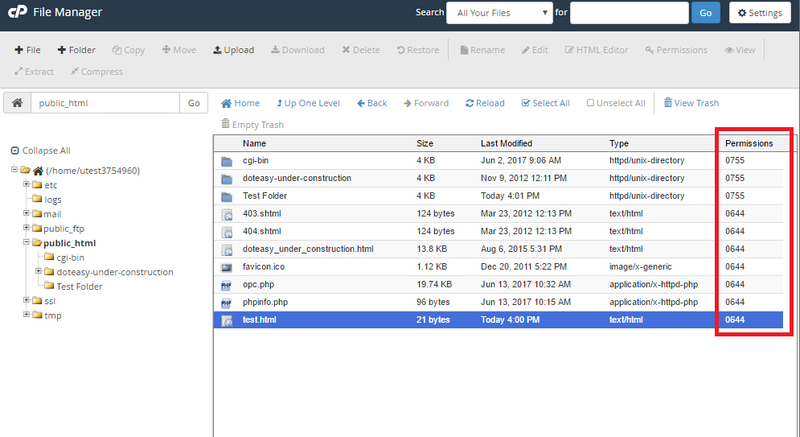 Each file and folder on your server has permissions which control who can read, write and execute that file or folder. When files are created, default permissions are assigned. While most users won’t need to change permissions, there are times when an update or installation will require a file permissions change. Permissions for each file is listed on the right side of the screen. Also, make sure you’re not allowing more access to your files than is necessary, as doing so will leave your website vulnerable. 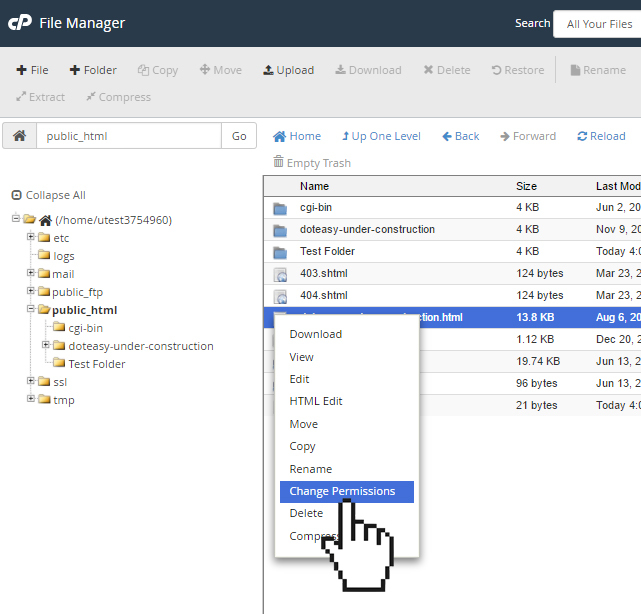 File permission changes can be done using the Permissions tool in File Manager. Locate the file you want to change permissions for. Click on the Permissions icon on the top toolbar. Alternatively, you can right-click to open the options menu. Select Change Permissions. 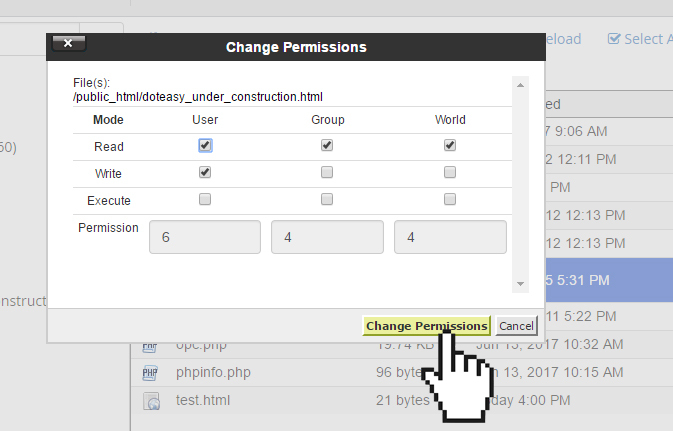 On the Change Permissions window, adjust the settings as needed by checking the box by each permission you want. When ready, click Change Permissions to complete the action.